In 2006 Palmer College Paint The Towne 5K was started with the purpose of raising funds for scholarship to recognize student cross country and/or track and field athletes who are leaders in their school, excel in the classroom, and make positive contributions within the community. These scholarships are open to all Volusia and Flagler County graduating high school senior runners. We are very proud of our sponsors and appreciate the support they all have given to this program over the past seven years. Without them, the scholarships would not exist. We would like to thank Palmer College, our lead sponsor, who has supported the Beachcombers from the beginning along with The Sullivan Family, Coastal Oncology, Brown & Brown Insurance, Bonefish Grill, Halifax Health System, Rice & Rose Law, The Daytona Torgugas, Couchman Printing Company, Empire Computing & Consulting/Rick Campos, BPF Design Incorporated, Lombardo Spradley Klein Certified Public Accountants, Breslins, State Farm Insurance, Jim Scott, Spikes Athletic Footwear, Jerry & Donna Hiatt, Leanh's Chinese Restaurant. The Daytona Beachcombers Running Club Scholarship Program is proud to announce the awarding of scholarships in the amount of $1,000 and $2,000 to graduating high school students who were members of their school’s cross county and/or track and field teams. 1) Florida resident for the last two years. 2) graduating high school senior from a Volusia County or Flagler County high school. 3) a member of the high school cross county and/or track and field teams. Paul is a graduate of Seabreeze High School. He will be attending the University of Florida. Paul was Valedictorian of his class, graduating with a 4.50 GPA. Paul was also accepted at Georgia Institute of Technology and University of South Florida. In Cross Country, Paul was 'Most Improved' in his sophomore year, Scholar Athlete, Junior year, Co-Captain, Senior Year and 4 year letterman award his senior year. 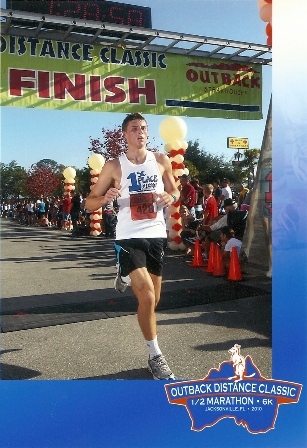 His best 5K time was 17;49, 1/2 Marathon 1:28:58. He served as President and Vice President of the National Honor Society, President of the Psychology Club, Co-Captain Cross Country, Co-Captain Academic Team & treasurer of Math Club. Schylar is a graduate of Mainland High School. She will be attending Florida Gulf Coast University. She was a member of the Cross Country team from her Sophomore year through her Senior Year. She was a varsity runner all 3 years. She placed 2nd. as a team at 5 Star (Sr. year); placed 8th. as a team at Districts (Sr. year); advanced to Regional where they placed 9th. She ran track all four years, was captain her Junior & Senior Year. Was Varsity Runner all 4 years. Schylar was in Health Careers Club for 2 years, involved in Hope in Hand and leader of this group for two years. Kelsey is a graduate of Father Lopez. She has enrolled at Furman University for the Fall of 2011. Kelsey was also accepted at Stetson University, University of South Florida, Florida State, Eckerd College and Agnes Scott College. She was on the varsity Cross Country team for four years and was Captain in 2009-2010 and 2010-2011. She received the Rookie of the Year award in 2007, most improved in 2008 and Lopez Award for Service & Scholarship in 2009. She has a PR of 25:09 in the 5K. She was on the Varsity Track team for 4 years and captain from 2010-2011, Most improved in 2009. 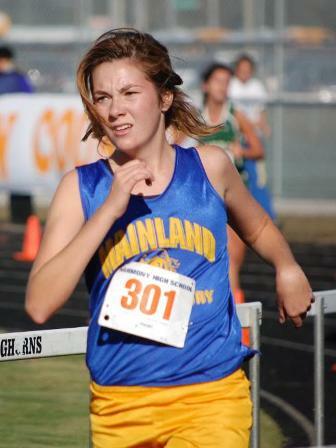 She attended Embry Riddle's Distance Running Camp in Sunset, SC in the summers of 2009 & 2010. Kelsey was involved in Father Lopez Student Government, elected class treasurer all 4 years. She was on the prom committee, dance chairperson (2010). She was a volunteer for the volusia County Teen Court, Prince of Peace Volunteer, worked at Salty Dog Surf Shop, was in National Honors Society/Spanish National Honors Society, plays the violin and was a founding member of the Environmental Club. Brian is a graduate of Spruce Creek High School and will be attending the University of Florida. Brian maintained a 4.0 gpa and was 14th. in his class. He ran Cross Country 4 years with a 5K PR of 17:00, was a member of the Minute Club; Tean 5 Star Conference Champions 2009-2010; Team State Qualifier in 2009, Spruce Creek Track & Field 3 year letterman; 1600 4:53; 800m PR 2:10; 3200m PR 10:49. Ran the 5 points of Life 1/2 Marathon with a time of 1:25:20. He was a 2 year Cross Country Team Captain, 2 year track & field Team Captain, Math Honor Society President. Brian plays the piano, volunteers at Florida Ormond Memorial Hospital during the summer and Altar serving at Prince of Peach Church. He has aspirations of becoming a doctor. 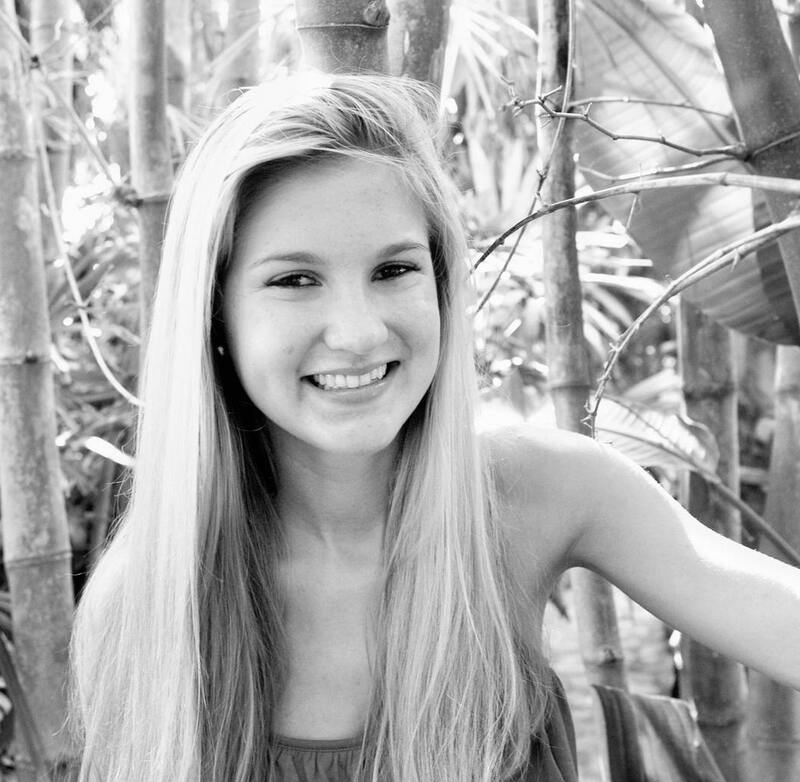 Megan is a graduate of Mainland High School and will be attending the University of Florida. She was also accepted at Florida Gulf Coat University, University of South Florida and University of Central Florida. 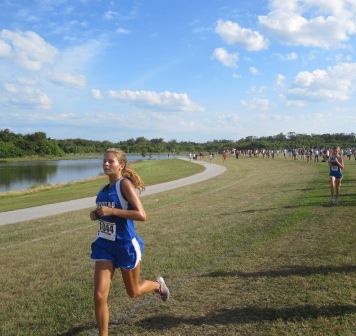 Megan carried a 4.2 gpa at Mainland where she was on the Cross Country team. She received two varsity letters. She participated in Mainland's running club, placed 2nd. 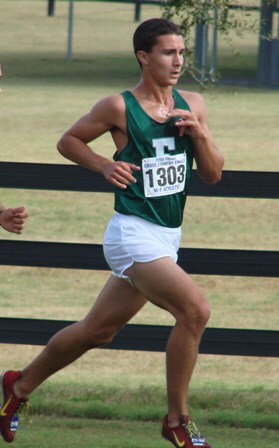 in her age group in Stonewood Invitational in 2008. Her PR is 25:06. She is in charge of Mainland's Senior Video, is in the French Club, Link Crew, National Honor Society, Key Club and works as a lifeguard at Daytona Lagoon during the season. Hayly graduated from Spruce Creek High School and will be attending University of South Florida. She was also accepted at University of Florida, Florida State, University of Tampa, University of Central Florida and University of North Florida. She was on the Spruce Creek Varsity Track & Field and lettered 4 years. Triple Jump, 34ft. 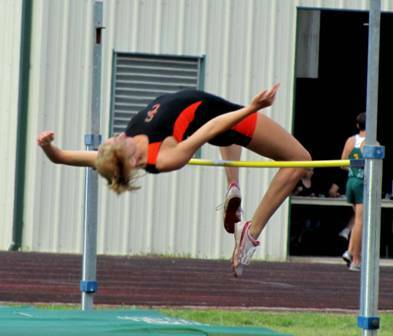 3 in, High Jump 5 ft. She was News Journal T&F 2nd. Team in 2008 & 2009, News Journal first team in 2010, Team District Champs 2009, 2010, 2011, Team District Runner Up 2011, Team Conference champs 2009, 10, 11) Was named jumper of the year 2011. Hayly was Varsity Track & Field Captain in 2010 & 2011. Varsity Volley ball Captain in 10th grade; Spruce Creek Varsity Volleyball 9,10,11, National Honor Society 11,12, SEA Club 10,11,12; Junior American Medical Association 12. Danielle is a graduate of Flagler Palm Coast High School where she maintained a 4.4 gpa. She will be attending University of North Florida. 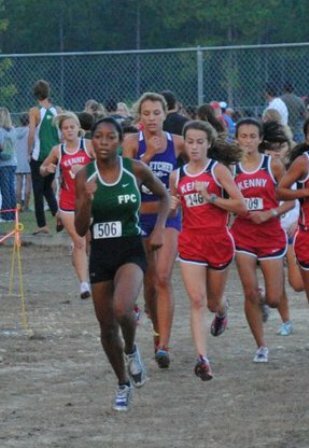 Danielle was Captain of the Flagler Palm Coast Cross Country Team her Jr. & Sr. year. She was a scholar athlete all four years, received the Heart of a Champion Award her Jr. & Sr. year, was Daytona Beach News-Journal Athlete of the week her Jr. year and most improved athlete award in the 10th. grade. She received the Bulldog Spirit Dedication Award in the 10th grade and was Five Star Conference Champion her Jr. year with a best time of 19:42 in the 5000m. Danielle was also on the Flagler Palm Coast Track & Field Team and was team captain her Jr. & Sr. year, MVP Jr. year, outstanding Relay Performer Award in the 10th. grade. She received the Unsung Hero Award in the 10th. grade. She was a Scholar Athlete her four years on the team. As well as her running career, she is an ambassador in the Girl Scouts where she has been involved for 13 years. She is also involved in Youth Ministry and Nursery Ministry at her local church. Claytia is a graduate of Deland High School. She will be attending Georgetown University, She was also accepted at University of Florida, and University of Miami. She was on the Deland High Track & Field Team and varsity lettered in 2009-2010, 2010-2011. She placed 4th at District in the Discus, 9th at regional. 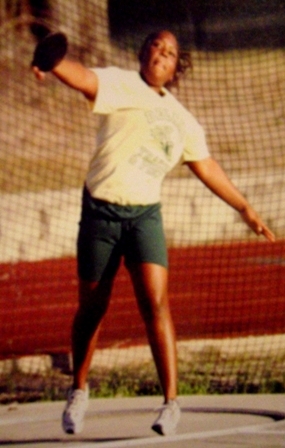 Her best throw in the discus was 104'3", and 25'10" in the shot-put. Claytia was the girls weightlifting captain in 2010-2011, she was involved with the Seek Wisdom Club, SGA, Deltona Youth Advisory Sub-Committee, Deltona Youth Advisory Sub-Committee Representative and SGA representative. She was also involved in the varsity girls weightlifting, Spanish National Honor Society, varsity swimming and Club Seek Wisdom. She has been employed by Taco Bell since 2009 as a cashier and food prep working 20 hours per week. Robert is a graduate of Spruce Creek High School and will be attending University of North Carolina at Chapel Hill. He also was accepted at University of Florida, Florida State, Furman, and Appalachian State University. 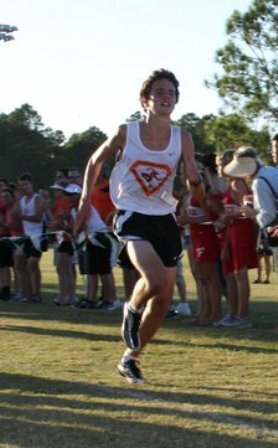 Robert has a 17:06 PR (5k) in Spruce Creek Cross Country. He received the newcomer of the year award, Daytona Beach News-Journal runner to water' award, Cross Country Honor Roll, Second Team All Area, First Team All-Conference. He has a PR in the 1/2 marathon of 1:28, 10K 38:20 and a 10 mile of 64:20. He was the JV Soccer Captain in the 9th & 10th grade, Beta Club Service Chairman (12), IB/AP Exam Tutor (11, 12), Student Government Assoc. representative (12), Port Orange Club Soccer Team Captain (9-11) and FUSE leader. Robert has been involved with Club, JV/Varsity Soccer, Beta Club, SGA, National Honor Society, Spanish Honor Society, Spanish Club, Fellowship of Christian Athletes, First Baptist youth group, Bahamas Methodist Habitat Project, Church Lector and Church Buffet Fundraiser. He is a bus boy at Aunt Catfish Restaurant and works at Superwash Express Carwash Co.
Trevor is a graduate of Seabreeze High School and will be attending the University of Florida. He was also accepted at FSU, VSF and FGCU. He maintained a 4.0 gpa at Seabreeze. He was on the Seabreeze High School Cross Country team where he was co-captain his Senior year. He was also on the Track & Field team, was co-captain his senior year. Trevor lettered in both sports all four years. Trevor was secretary of The Young Republican Club his Junior Year, Sergeant at Arms and Co-Founder of Medical Teen of American. He is a member of his youth group, youth Vestry at St. James Episcopal Church. He was in the National Honor Society, worked for the Halifax Humane Society Thrift store, assisted with Tomoka Elementary Fall Festival, Mission trip to Copperhill, TN with his youth group and participated in "Tomorrow's Leaders" program. Greg is a graduate of Spruce Creek High School. He will be attending the University of Florida. 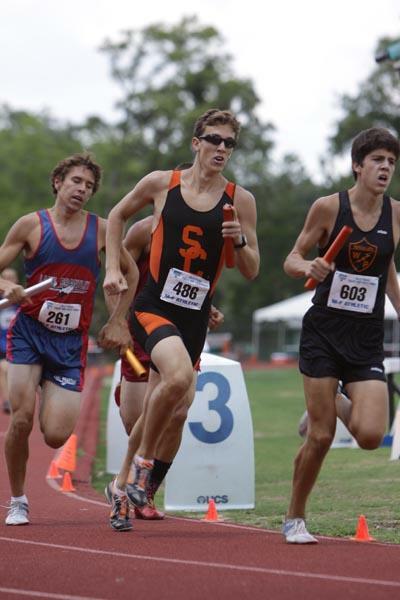 Greg was a member of the Spruce Creek High School Cross Country team for 2007, 2008, 2009. Three year varsity letter, 2 year captain. 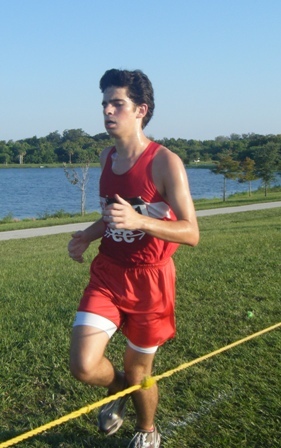 His best 5K tie was 16:27, he was MVP in 2009, 2 time State Qualifier, All County First Team, 16 Minute Club, Conference Champ (team) 2007-2009, #1 team runner 2009, #2 county 2009. Track & Field 2008, 2009, 2010, 3 year varsity letter, 2 year captain, best 1600 time 4.29, 3200 time 10.00, 800 relay time 2.00, 1500 time 4.25. Greg was voted most athletic, Spruce Creek High Senior Class 2010. He is a Volusia County Lifeguard during the summer and Greg's Vending. He plays the drums, guitar and surfs. He has been involved in many extracurricular activities including Toys for Tots, Beach cleanups, operation shoebox and local food drives. He participates in road races and triathlons and is a member of Crossroads Baptist Church. Kacie is a graduate of Spruce Creek High School. She will be attending the University of Florida. She has been a member of the Spruce Creek Cross Country team for 4 years, varsity loetter 4 yearss, first team in Volusia County 2007-2008, freshman/sophomore champion 2007, coach award 2007, Spruce Creek 20 minute Club, was 5 start conference champion all 4 yrs, most valuable player 2009, 5 star conference team champions 2007-2010, varsity letter 4 yrs, regional qualifier 2010, districts 2007-2010, distance runner of the year 2009. 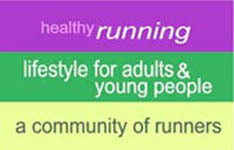 Cross Country 5K time, 20:50, Track: 800 meters 2:25, 1600m 5:50, 3200m 12:45. Kacie was Junior captain of both cross countr and track & field 2009, senior captain of both 2009-2010. Through these leaderships she has become a role model, a coach's assistant, a parent figure to the team and a consistent team supporter. She was a member of the National Honors Society, Sea Club, Beta Club, God First Always, Fellowship of Christian Athletes. She is involved in Youth Group, mission work, vacation Bible School, Hurricane Relief work in Pensacola, Puerto Rico, Jacksonville inner-city. She has worked the food-line at the Homeless Shelter and been involved in Spruce Creek's art program. Kacie is an active member of Christ Presbyterian Church. Christopher is a graduate of Mainland High School. He will be attended Florida Gulf Coast University. Christopher ran Cross Country and lettered 4 years. He also was on the Track & Field team, 2008-2009 & 2009-2010. He lettered both years. He is a 3 time 5 star conference cross country champion, 3 time News Journal CC Runner of the Year, 3A CC District Champion, 3A CC Regional Runner-Up & 6th place finish at CC FHSAA State Finals. His 5K PR is 15:54, 3200 10:01, 1600 4:31, and 800 2:06. He was awarded a spot in Mainland's Hall of Fame for Cross Country. He was captain for Cross Country in 2008 and 2009 and captain of the Track & Field Team 2009-2010. He is a member of the MHS running club, MHS FCA and Culinary Academy. He was runner of the year in 2007, 2008, 2009. Amanda is a graduate of Spruce Creek High School. She will be attending Florida State University. She lettered 4 years, Hurdler of the year 2008-09, 2009 National Indoor Qualifier, 2010 National Outdoors 100m shuttle hurdle relay, 8 year conference champion. Amanda ran cross country for 3 years. Her 5K PR is 23:56, she was the most improved runner in 2007/08 season, 2008-09 7th place conference runner and a 3 year varsity letter. Junior and senior, JV and varsity, captain 2008--2010. She is involved with her youth group, ha made mission trips to Puerto Rico, Pensacola, West Palm. She is a member of the Students of Environmental Awareness Club (SEA), Beta Club, National (Junior) Honors Society, SGA, and soccer. Brandon is a graduate of Flagler Palm Coast. He will be attending the University of Florida. Brandon was a member of the Flagler Palm Coast High School Cross Country and Track & Field teams during his four years of high school. He earned a varsity letter each year. His personal best Times • 1600 Meter Run - 4:38.75, 3200 Meter Run - 10:00.35, 5000 Meter Run - 16:40.92, 800 Meter Run - 1:57.29, 4x800m -7:46; 4x400m - 3:20. Sarah is a graduate of Spruce Creek High School and will be attending Duke University. 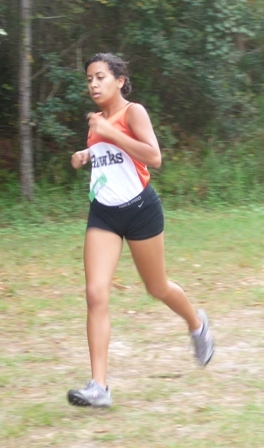 Sarah was a member of the Spruce Creek Girls Cross Country Team and earned a four year varsity letter. Her best 5K time was 23:46. She was also a member of the girls Track Team and competed in the 1600m where her best time was 6:33. She also ran the 4x800m. She was in the Spanish Club, Mu Alpha Theta, F.U.S.E. National Honor Society, Spanish Honor Society, Cultural Diversity Club, Service Organizations, The Jewish Federation (Backpack project) and Habitat for Huanity. She was on the girls swim team (2008-2009), Foreign Language Festival (for Spanish I, II, IV), Student Science Training Program at the University of Fla.
Sarah interacts well with teachers, students, and her peers. She is honest, sincere, and considerate. She has a great attitude, positive and uplifting. Sarah recognizes that there is no easy road to success and no substitute for hard work. She has demonstrated determination and commitment, never satisfied, but seeking perfection by constant practice. Stephanie is a graduate of Matanzas High School. She will be attending Florida Atlantic University. She joined the Cross Country team her senior year. She was the number 5 runner with a PR of 22:14. She received the scholar athlete of the year award for Matanzas High School. Stephanie is certified in CPR, First Aid and AED lifeguard. She received the Coaches Award in Volleyball, was #1 & #2 seed Varsity MHS Tennis player, works two jobs 30 hrs. a week maintaining straight A's. She volunteers at the Flagler County Humane Society, Flagler County Public library, Friends of the Library. Stephanie's academic achievements are very impressive as she earned A Honor Roll multiple times and earned Dean's List Honors each semester as part of her Dual enrollment at Daytona State College. Jacque is a graduate of New Smyrna Beach High School. She will be attending University of Florida. She has a 5K PR in Cross Country of 23:08. In 2008 she received the Scholar Athlete Award, Highest overall GPA on the team, hardest worker award, most inspirational Athlete Award and Varsity Letter. In 2009 she received Varsity Letter, Scholar Athlete Award, Highest Overall GPA on the team, Hardest Worker.